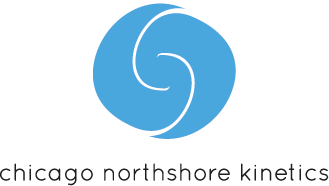 Start taking classes at Chicago Northshore Kinetics and other studios! Chicago Northshore Kinetics is a 4,500 square foot mind-body fitness center that is fully equipped to offer a variety of group classes such as yoga, Pilates, GYROKINESIS®, and bootcamp. They are located in the heart of downtown Evanston; metered street parking is ample and public garage parking is within walking distance. This was the perfect class to take after a long day of traveling. Felt aligned, centered and energized afterwards! Loved this class! The physical work is subtle, but I felt lighter and happier after thanks to all the breath work. Will definitely be back! This class is not for everyone, it is very slow gentle stretching. It's great environment and group. The class is so relaxing, a lot of breathing, and instructor is inspiring! I would definitely come back. The instructor is very professional. The atmosphere is great and supportive. This is a very well equipped studio, one of the best in the area, and the gyro class is unique and very strong.